President of the Nigeria Football Federation, Mr. Amaju Melvin Pinnick has been appointed the President of the Organizing Committee for the Africa Cup of Nations - the most important committee in the workings of the Confederation of African Football (CAF) aside the Executive Committee. At the inaugural meeting of the CAF Executive Committee which took place on Monday in Manama, Bahrain, on the margin of the 67th FIFA Congress starting on Tuesday, Pinnick was also named the President of the CAF Media Committee. The NFF supremo will have President of the Zimbabwe Football Federation, Dr. Philip Chiyangwa as his deputy in the AFCON panel. It is the first time in CAF's 60-year history that a Nigerian would head the very influential Organizing Committee for the Africa Cup of Nations - CAF's flagship competition which is of the same age. Former CAF President Issa Hayatou chaired the AFCON panel during his tenure. 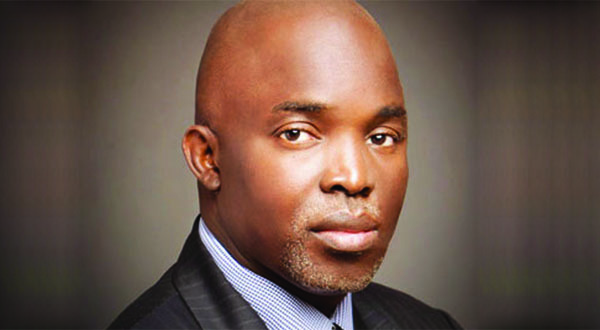 In the Media Committee, Pinnick replaces Anjorin Moucharafou, the Benin Republic FA boss whom he pummeled at the CAF Elections in Ethiopia in March to become an Executive Committee member. Only four days ago, at its 53rd Full Council Meeting at the Yankari Game Reserve in Bauchi, the Sports Writers Association of Nigeria (SWAN) presented the NFF President, who is also Member of the very influential Organizing Committee for FIFA Competitions, with a Merit Award for outstanding support to SWAN. Also on Monday, the CAF Executive Committee named the President of Ghana FA, Mr. Kwesi Nyantakyi as 1st Vice President, with his DR Congo opposite number, Omani Constant Selemani, named the 2nd Vice President. SAFA President, Dr. Danny Jordaan, a former university lecturer and parliamentarian who was chief organizer of the 2010 FIFA World Cup finals, was named chairman of the Marketing and TV Committee, while 1988 African Player of the Year, Kalusha Bwalya heads the Technical and Development Committee. Sierra Leone FA boss, Isha Johansen heads the Women’s Football Committee. President of Uganda FA, Moses Magogo was co-opted into the CAF Executive Committee for 2017-2021 cycle. In the poll for the remaining African member of the FIFA Council, Hani Abo Rida of Egypt defeated former Cameroonian FIFA Development Officer Zelkifli Ngoufonja by 50 votes to 4.